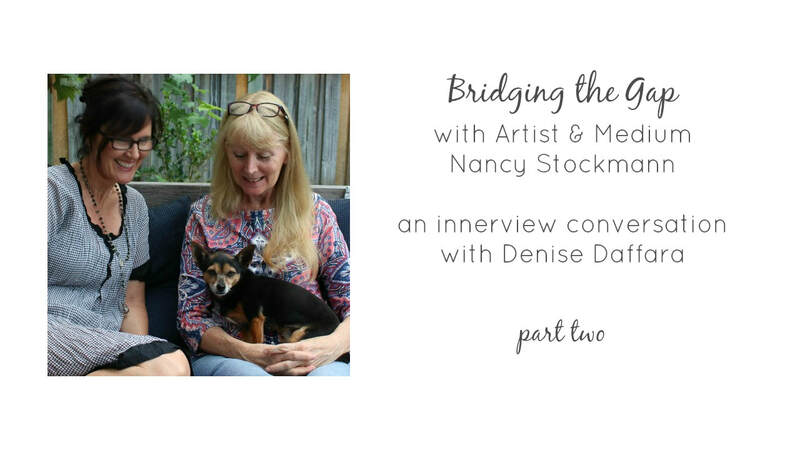 ​with Artist and Medium, Nancy Stockmann. This may not be everyone's 'cup of tea' but I share it here as an opportunity for those who may be curious or wondering, it is intended as a possibility for you to consider, and feel into whether it resonates with you. In June 1997 my sister's life was taken from her, and as a result of that traumatic experience, my life changed dramatically. I became drawn into painting. I figured at the time, my sister died at 41 years, I may as well do some things I love in this life while I have time. I became friends with Nancy some years ago, and a long time into that friendship a day came (a regular day, when we were hanging out in her art studio) and my sister made her energy/presence known and spoke via Nancy to me for about an hour. I had avoided mediums and readings most of my life due to fear. I was raised to fear such things. 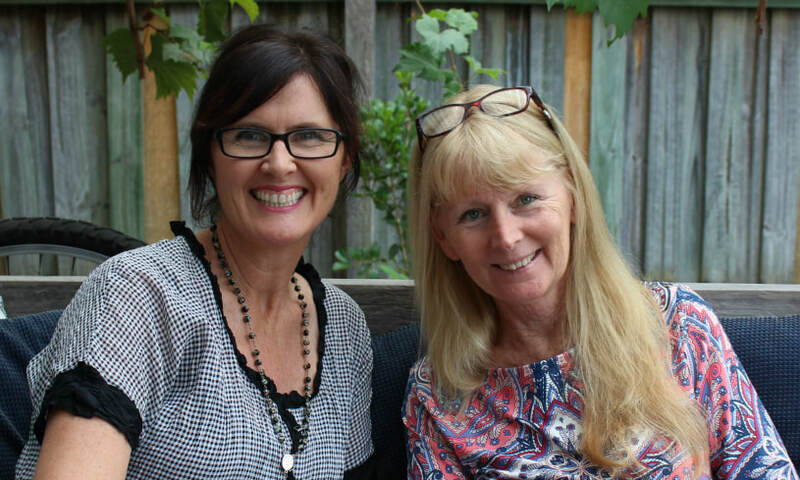 What came through for me from my sister, via Nancy was deeply resonant and a joy to receive. I felt excitement and exhilaration, not fear. The peace I feel knowing Min is so happy, and not 'that far away from me' after all is huuuge. ​Another time Nancy has helped me to honour love and loss is right after my Mother died, she brought through a message from Mum for me. I was deeply comforted by the knowing that she was completely free. If this conversation brings you peace like this gift has for me, then it has served its purpose. The first recorded podcast of Phillip & Denise in conversation about the collection of over 70 paintings that were displayed in their home and some thoughts about the art life/practice for Denise after 17 years of practice.